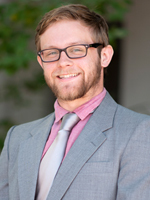 Aaron J. Davis is a senior at Saint Mary’s College of California. He is studying Business Administration with a concentration in Global Business. After high-school, Aaron spent four years as an Infantryman with the 75th Ranger Regiment in the United States Army. At the end of his active duty service, he moved home and attended Sierra College in Rocklin, California where he spent two years studying. He is currently serving in the United States Army Reserves as a Psychological Operations Specialist and is a sales associate for Houghton Mifflin Harcourt Publishing Company. On Campus, Aaron serves as the Co-President of ENACTUS, a community of student, academic and business leaders committed to using the power of entrepreneurial action to transform lives and shape a better more sustainable world. 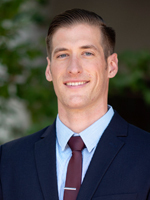 He is the Vice President of the Dean’s Undergraduate Student Advisory Board for the School of Economics and Business Administration, which consulted regularly on matters of curriculum, program, and student experience. He is a member of the Beta Gamma Sigma Academic Honor Society in the study of business that fosters personal and professional excellence amongst its members. He has taken his studies of business abroad while studying at the University Technology of Sydney in Australia and Alpha Aktiv in Germany. His interests include sustainable energy, renewable sources, politics, trade, cultural studies, and recreational activities. 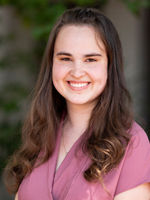 Allison Figone is a senior at Saint Mary’s College of California. She is a Kinesiology major with a Health Promotion emphasis and a Music minor. Through her minor, Allison is a proud member of the college’s choir which has recently brought back two medals from their competition in South Africa. Alongside her studies, she is very involved throughout campus. Her roles include being a Student Ambassador, a Resident Advisor, and President of the Red Cross Club. Through the Red Cross Club, Ally volunteers much of her time in align with the American Red Cross by planning campus blood drives, contributing to disaster relief, and more. She hopes to carry her passion of helping others into her future career aspiration as a manager within the healthcare system. With this, she hopes to not only be able to lead success within hospitals, but also contribute to the quality of care that is being offered to patients. Besides her involvement on campus, Ally enjoys cooking and traveling the world. Due to her multi-racial background and visits across the globe, she has a thorough appreciation for culture. She hopes to combine her values regarding culture, health care, and helping others within her future career. 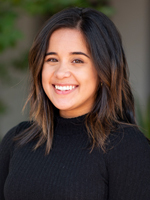 Melia Granath-Panelo is a senior at SMC studying Biochemistry with a strong interest in stem cell biology and cancer biology. She personally facilitated a collaborative research initiative between Saint Mary’s College and UC Davis Medical Center in the field of regenerative medicine specializing in neuronal differentiation of adipose-derived stem cells for the 2018 academic year. Over the summer of 2018, she completed a research internship with Gilead Sciences in their Immune-Oncology division exploring possible treatments for solid tumors. Additionally, she participated in research in the Sigman laboratory at Saint Mary’s College studying the structure and function of the enzyme Neurolysin. Aside from scientific endeavors, Melia plays club volleyball for Saint Mary’s College and has been playing piano for nearly her entire life. When she isn’t busy with science, she enjoys drinking coffee and watching basketball. She also serves as a mentor for local high school students who are planning on pursuing a college degree in the biological sciences related fields. After graduation, she plans on earning her M.D., and hopes to specialize in plastic and reconstructive surgery. Alex Holden is a senior Integral and Economics double major currently investigating the origins of wealth and social inequality. He has been a member of the Saint Mary’s men’s rugby club for four years, a volunteer coach for the women’s rugby club, and is an active recruiter for the Integral program as well as both rugby clubs. Following graduation, Alex will pursue a career as a consultant for socially-conscious startups. Hope Huber is a senior at Saint Mary’s College, an artist, and an activist. She is majoring in Environmental Studies while taking a minor in Art History. She is focused on responding to the world’s increasing issue of food and water insecurity by advocating for agricultural sustainability . Originally from the Sierra Nevada Foothills, she came to Saint Mary's with a background in farming and has transformed that into an active dedication to education. Her goals include furthering her political engagement, promulgating education around sustainable food production, and propelling her own entrepreneurial ideas. On campus, she serves as the Vice President of Green Gaels Club, Cofounder/leader of the Art Club, leader of Divestment Student Group (a push to divest SMC from fossil fuels) , and the first Legacy Garden Intern. The culmination of all of her efforts are focused on creating a healthier, more joyous world. Drew Mitchell is a junior majoring in Business Administration with a double concentration in Business Analytics and Finance. 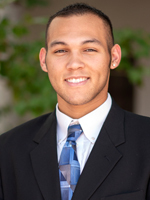 He is an Assistant in the Graduate SEBA Office, Treasurer of SMC’s Engineering Club, and sits on the SEBA Dean’s Undergraduate Student Advisory Board. His interests include trying different foods, working on cars, and tinkering with electronics. Drew plans to utilize the skills he has gained in the Business Analytics and Finance program to pursue a career that combines his passion for technology and business. Sophie Cipolla is a junior majoring in English and minoring in Spanish, Theatre and Ethnic Studies. 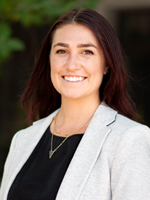 She became interested in the relationship between social policy and education through her on-campus work as a Writing Adviser and a CILSA Engaged Learning Facilitator. Off-campus, her internships at the Monument Crisis Center and Aradigm Corporation, as a translator of clinical trial data, reaffirmed her passion for working alongside underserved communities and telling the stories behind organizations. 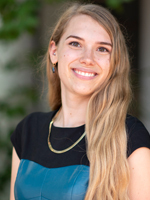 She hopes to channel her passion for storytelling into helping others cultivate their own voices, and enjoys the opportunity to create exciting programs on campus as a commissioner for the Honors Program. She also serves on the Academic Honor Council and Peer Conduct Council. In her spare time, she loves fashion, cooking and singing, and is currently on a mission to perfect her beatboxing skills and her coconut cheesecake recipe. Arielle Sexton is a junior majoring in mechanical engineering as part of the 3+2 Engineering program at Saint Mary’s College of California. She is spending five years pursuing two bachelor’s degrees, one in liberal arts from Saint Mary’s and another in mechanical engineering from a second school. She is undecided on where she will complete her program, but is guaranteed admittance to Washington University in St. Louis. She plans on using her mechanical engineering degree to work in the field of robotics once she graduates. At school, Arielle is the president of the Saint Mary’s Engineering Club where she plans and runs weekly club meetings to give fellow students hands on experience in a variety of fields including computer, aerospace, and robotic engineering. 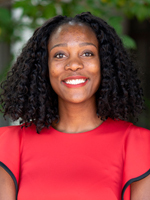 She also volunteers on a monthly basis through NSBE, the National Society of Black Engineers, to teach elementary through highschool aged students about drone technologies and physics. In the spring, Arielle will take a semester off school to participate in a CoOp at General Electric working in their aviation division. In addition to engineering, Arielle is also passionate about social justice. She spent over a decade in a professional choir and became enamored with music from cultures around the world. It is her background in music that created an appreciation for world culture and ignited in her a desire to use science and engineering for social justice. Ornella is a junior in the Integral Program. Prior to attending Saint Mary’s College she went to Freedom High School in Oakley, CA. She enjoys being an Integral major because it allows her to not only challenge others ideas but it challenges her to think differently and challenges her ideas as well. She is a member of the High Potential program here at Saint Mary’s--a program that helps first generation college students succeed in college. Ornella is currently an intern at Cisco Systems. Her current role is a Scrum Master for a global team of engineers. 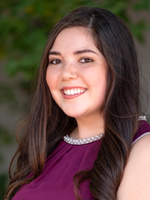 After graduating from Saint Mary’s she aspires to continue working for Cisco and pursue an MBA. In her spare time she enjoys running and cooking.